Note: This is the digital Print & Play edition. Go Extinct! 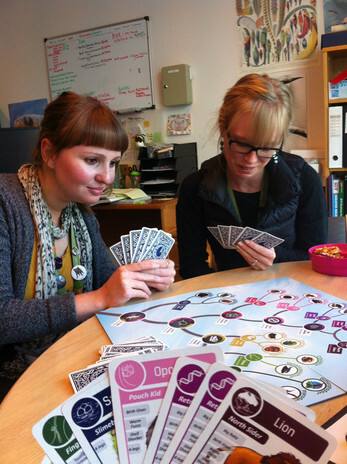 revitalizes the family classic, Go Fish, with an infusion of science and strategy! 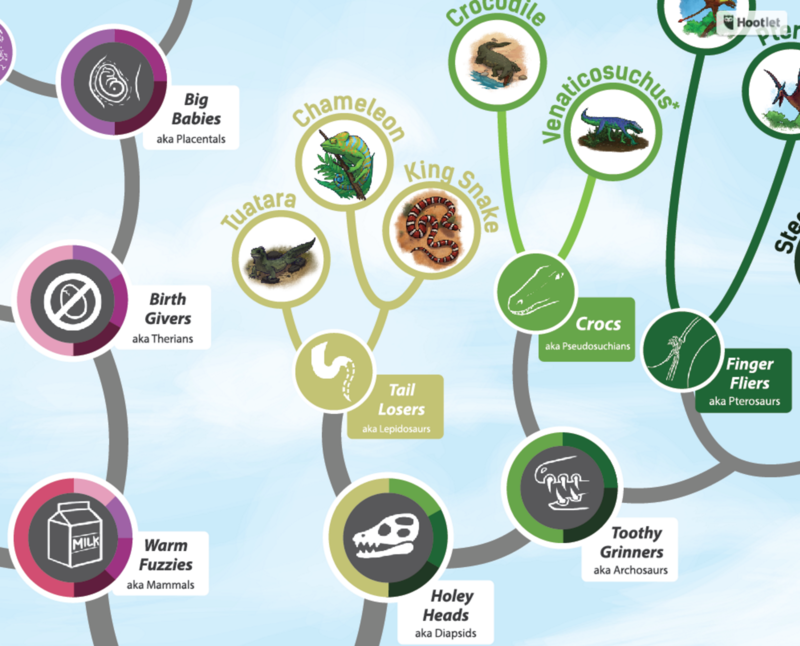 The key ingredient: an accurate and gorgeously stylized evolutionary tree board abounding with charismatic animals. 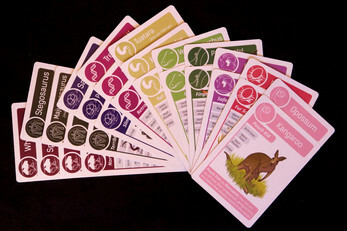 Players become zoologists competing to collect color-coded sets of closely related animal cards using the evolutionary tree. 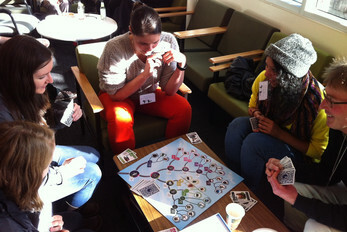 The deep mechanics incentivize divergent asking strategies and afford plenty of gotcha! opportunities for careful listeners with a risk-taking streak. When the 54-card deck runs out, the interest curve spikes and underdogs get one last chance for dominance! The result? A hilarious, easy-to-learn yet highly re-playable 30-45 minute experience that also happens to teach one of the most profound scientific ideas: all these mind-bogglingly diverse lifeforms on Earth share common ancestors. 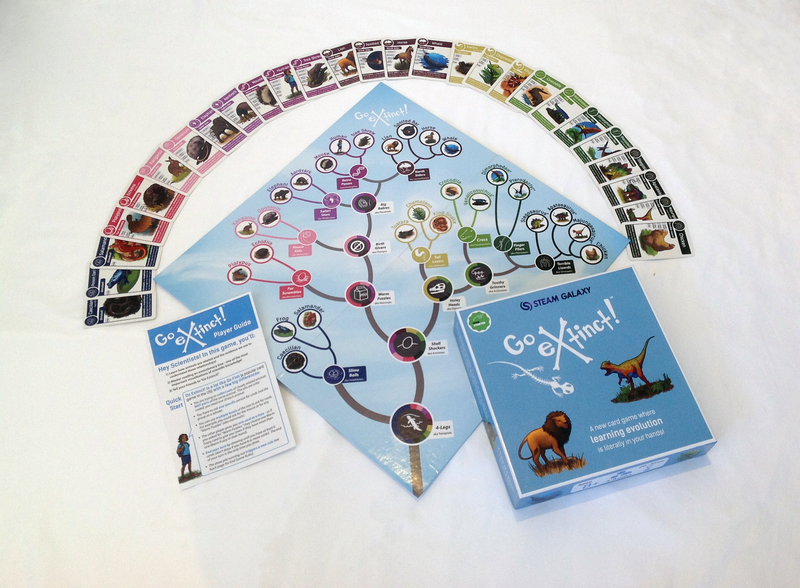 Fun for humans, especially kids aged 8-12 who get to tell the board-gaming parents and teachers in their lives to, “Go Extinct!" While simultaneously teaching introductory college biology and conducting her own scientific research, Ariel Marcy noticed a big conundrum: even highly motivated Stanford students struggle with evolutionary trees meanwhile researchers cherish them like Rosetta Stones. We need a better way to teach this fundamental concept! Then it hit her: evolutionary trees are just sets-within-sets — e.g. 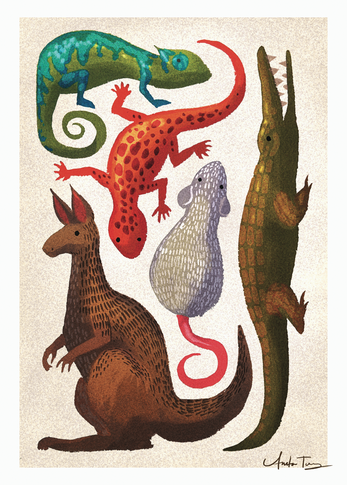 humans are also mammals and also vertebrates — a simple yet rich system. In a game, this system pairs high reward with high risk and vice versa. Deductive risk-takers can steal entire sets away from opponents by using the “Ask-Again" rule for specific animals. 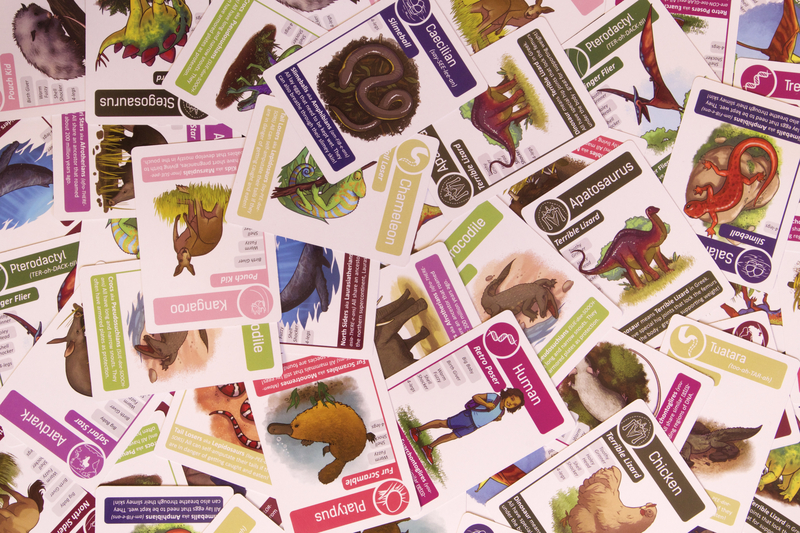 But, ask for a specific animal the other player doesn't have, and you've revealed a lot about your hand! Therefore, the emergent low-risk strategy is also the major learning objective: identify and ask for deeper common ancestors to maximize both your mystique and your chance for a useful card. Go Extinct! can be enjoyed over again and by older audiences because of the meaningful risk/reward choices that depend on the sharpness of your memory, the luck of the draw, and how your friends choose to play! The laugh-out-loud factor comes from the silly yet cleverly scientific nicknames for each set of animals. You might find yourself asking for someone's “Big Babies" or their “Slimeballs" — delightful mnemonics for traits these animals share and the various evidence scientists use to infer evolutionary relationships. 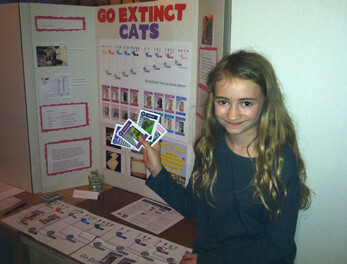 In addition to family fun, Go Extinct! aligns with Next Generation Science Standards and has proven invaluable in middle school through undergraduate classrooms worldwide. Passionate about inspiring more kids — especially girls and underrepresented youth — to pursue science, Ariel creates games that emphasize the creativity and curiosity she knows are so critical to her field. She founded STEAM Galaxy Studios to pursue this mission.